The crossbody bag is amazing for so many reasons. They are usually a little bit smaller, but not too small so it’s the perfect mid-range size. The crossbody chain/strap feature makes the bag altogether ridiculously comfortable. Hands free! The navy Prada (1) is structured and simple. 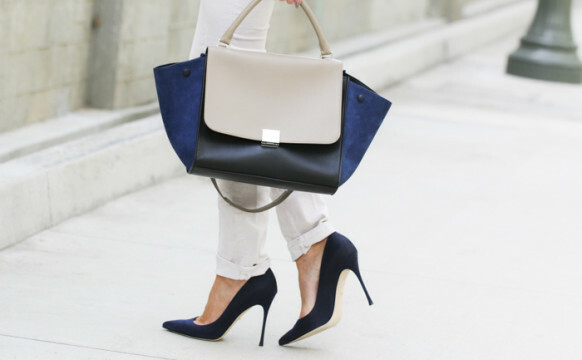 Navy goes with almost everything too, it’s a definite basic color for me. Also very versatile, the tan Tory Burch (2) can go with so much. And I love the tassel detail. The Valentino cross-body (3) is such a fun color and would make a really bold, trendy statement piece. 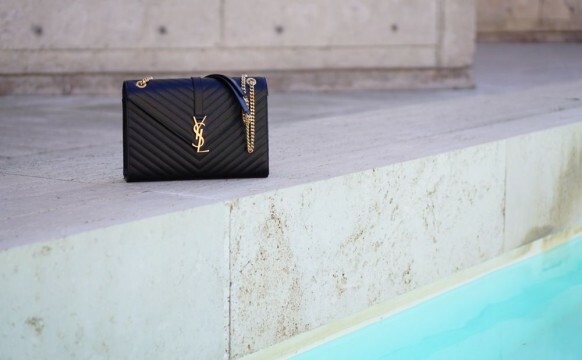 The great part about Bag, Borrow, & Steal is that you can go with a more risky piece because you’re not taking a multi-thousand dollar plunge, you’re getting a great bag for wayyyy less. The Balenciaga bag (4) is another fun color that could make a chic accent to a neutral outfit. And lastly, the Chloe bag (5) is a definite it-bag of the moment. The grey stone color can go with so much! 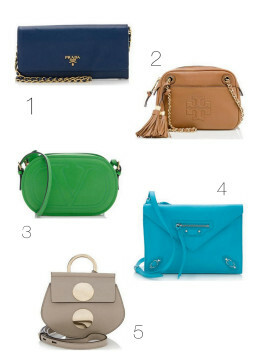 I can see each of these bags being the perfect companion for a girl-on-the-go.